Explanation: What does a solar prominence look like in three dimensions? To help find out, NASA launched the STEREO satellites to keep a steady eye on the Sun from two different vantage points. The STEREO satellites orbit the Sun nearly along Earth's orbit, but one (dubbed Ahead) currently leads the Earth, while the other (dubbed Behind) currently trails. 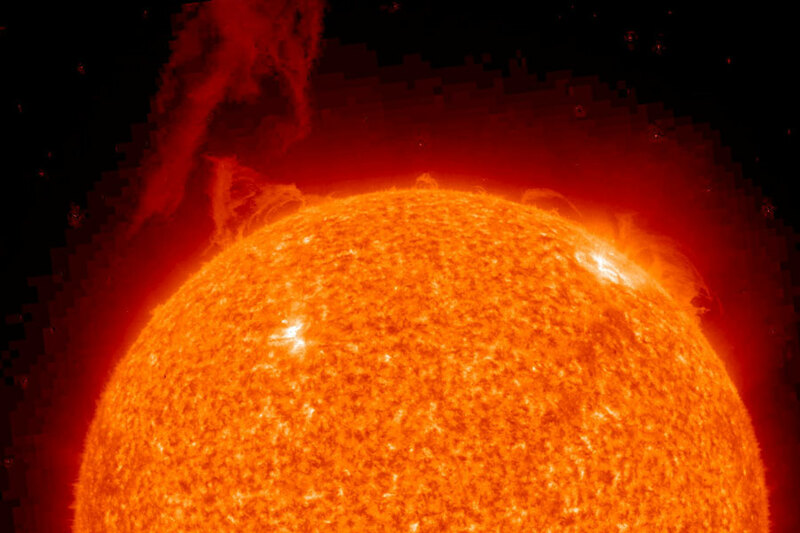 Three weeks ago, a powerful prominence erupted and remained above the Sun for about 30 hours, allowing the STEREO satellites to get numerous views of the prominence from different angles. Pictured above is a high-resolution image of the event from the STEREO Ahead satellite. A video of the prominence erupting as seen from both spacecraft can be found here. The unusually quiet nature of the Sun over the past two years has made large prominences like this relatively rare. 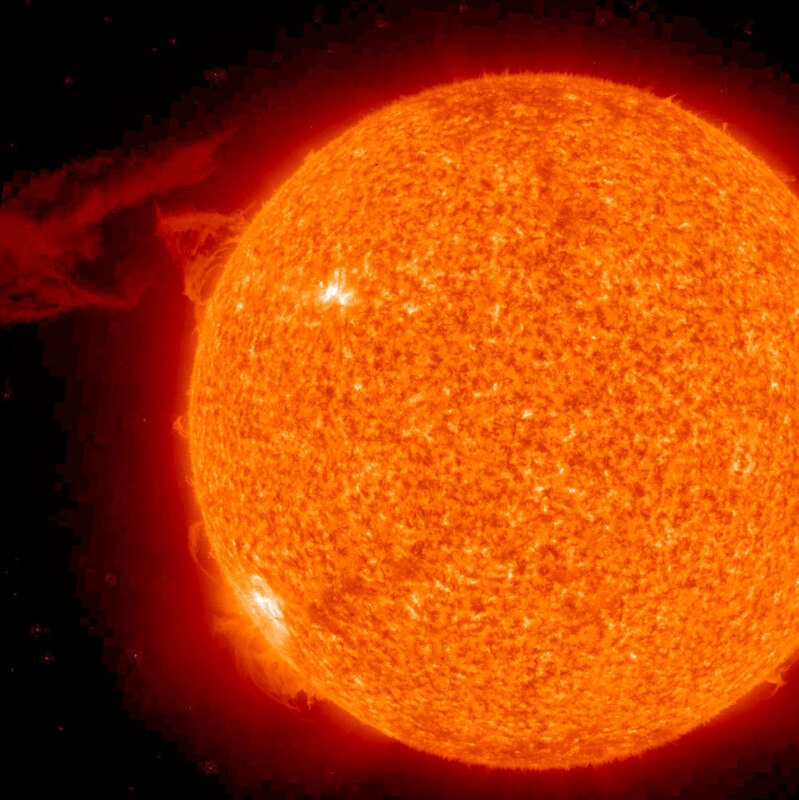 The combined perspective of STEREO will help astronomers better understand the mechanisms for the creation and evolution of prominences, coronal mass ejections, and flares.